Coming from Tasmania and what was the latest recorded vintage on the books at Stoney Rise commencing on 16 April. The wine was made from 40% whole bunches and wild yeast fermented. New (30%) French oak was used with the remainder a mix of one and two year old. A striking sweet and sour sensational took hold of me with this wine. It was tremendously delicious. Raspberries deluxe, cherries, a hint of vanilla with some subtle pepper. Powdery tannins to finish. Wow. Good to go now and still plenty left in it to last a few more years yet. 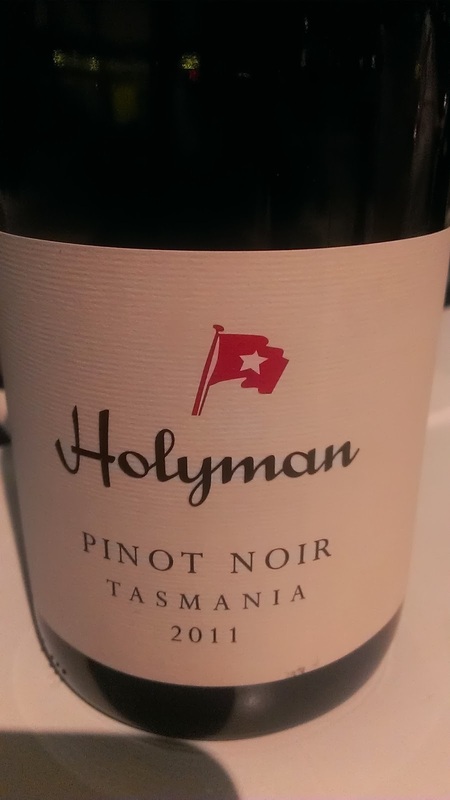 Quality Pinot is not cheap. This is a great example of that fact. Wild fermented, I just loved sniffing it. Funky. Very appealing with a peach skin highlight. Peachy and citrus flavours skirted the palate before diving in. A little burnt toast character in there too along with some biscuity nuances. A mineral character chimed in also to add a little more interest to the palate. Well balanced and a delight to drink. I really enjoyed this wine. It's very approachable and ready to drink now. Well weighted and not as light as some. Perhaps that little extra body is what drew me to it more and more. A hit of strawberry jam on toast first up got my attention. 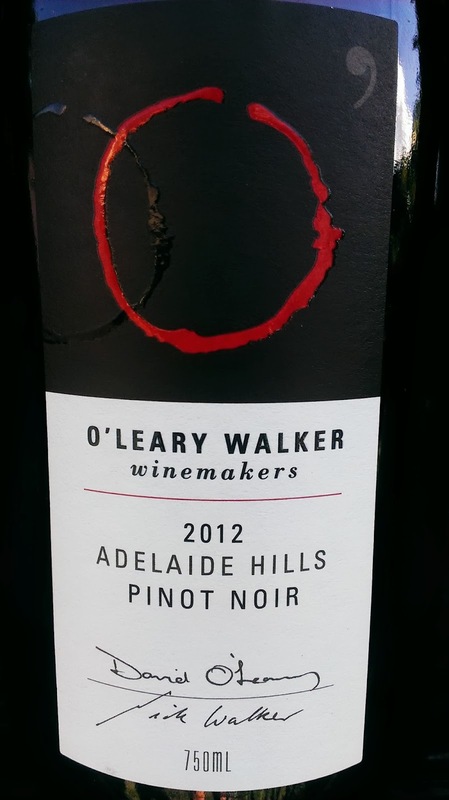 A few more swirls of the glass and classic Pinot traits rolled through; buckets of dark cherries with a hint of pepper. Well balanced with good fruit, it was still drinking very well on the third day I had it open. Interestingly the aromatics seemed to grow another leg at this stage and they developed in a berry basket type. A moreish length capped off a well made wine. An easy drinking type which can be pleasantly enjoyed on its own. 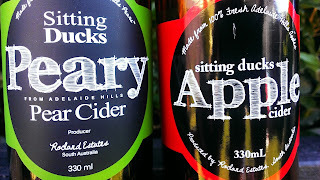 A change from the norm here with a post on cider. Cider has been a boom product of late with so much of it saturating the market. But that saturation is not necessarily the good gear. Many big companies, most of which have their hands in the pockets of supermarket distributors, are pumping out incredible amounts of cider made from concentrate. Yep. Concentrate. Consumers have no clue what they are drinking nor where it is from, and in the vast majority of cases they don't care. It's cold and sweet so bottoms up! I read a tweet recently stating that 893,378,000 Litres of Chinese apple concentrate has been imported into Australia and I'd suggest much of it is going down the necks of those reaching out for a cheap, sweet, mass produced cider kick. Then I stumble across this. Sitting Ducks. 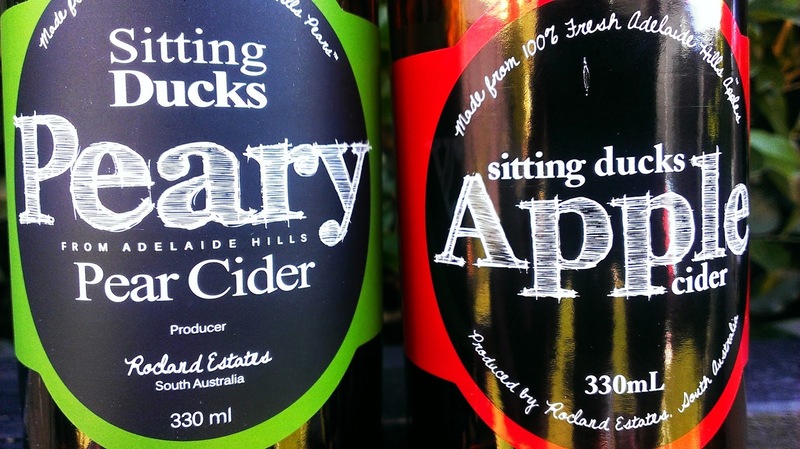 A new comer on the scene with two ciders made in the Adelaide Hills from 100% juice, not concentrate. The apple cider is a mix of the Fuji, Pink Lady and Granny Smith varieties. A dry style and a perfect food type to accompany a roast pork. Roast pork and cider, you can't go wrong! It's clean and crisp and weighs in at a big 6% alc. My preference of the two is the Peary cider. Many pear ciders have a near clear appearance but this looks light golden. It really hit the spot for me. Not too dry and certainly not too sweet. Smack bang in the middle. A great drink to sit back with on a warm afternoon to knock back a few (4.5% alc). Availability is increasing across the nation but at this stage it is mainly available in good independent bottle shops in Adelaide and Melbourne or online. Something special right here. Smooth, soft and delicious. 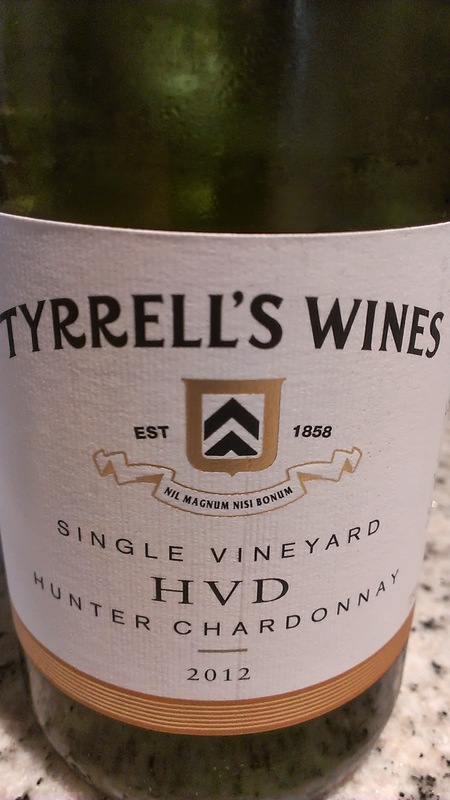 The vines for this wine were planted in the 1880's. Only 750 bottles were produced from this open fermented, basket pressed wine which sat in French oak for 24 months. Lovely colour consistent to the hue, some mulchy, bark and composty aromas. 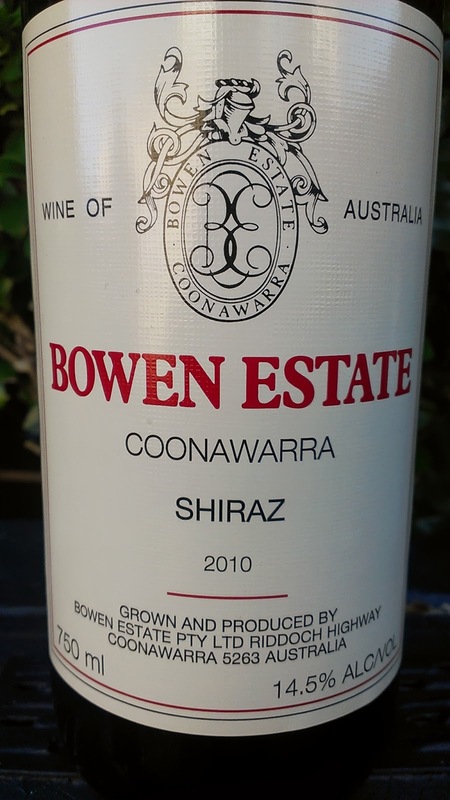 Soft peppery spice and juicy fruit flavours deliver an elegant and refined wine. Plums, black fruits, earthiness, and dark chocolate steal the show. Marvellous stuff. 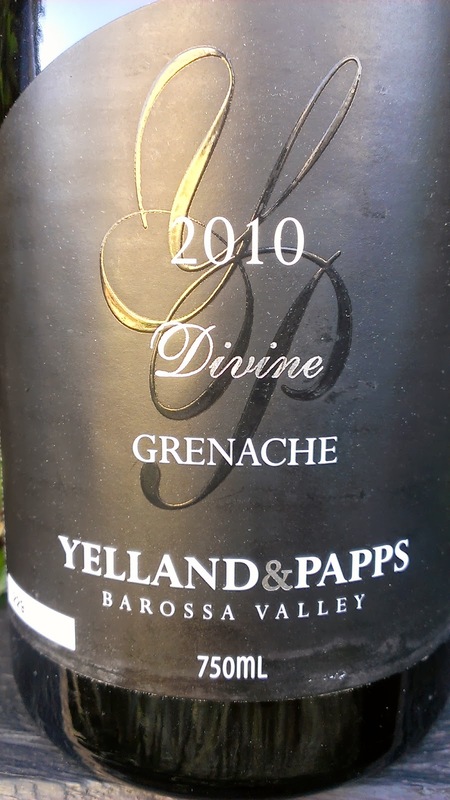 Lovers of Grenache will admire this without question. This is a Semillon worth buying and hiding away for a few years. It drank beautifully after being open for several days. Initially I was not a fan. The acid was tart and vicious. I came back on day three and the wine settled into a groove and found its feet. No oak was used during the winemaking process. I really liked the texture. Preserved lemons, limes, citrus zest and some toasty nut flavours were dominant. Now settled, the acid delivered a clean and crisp finish. All culminating with a long length, I wish I had more. 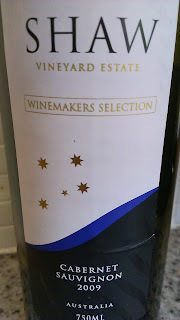 For $22.50 this is good value particularly as it comes from 40+ year old vines which were hand picked. Would I buy it? For sure, but only to drink it after a few years aging. 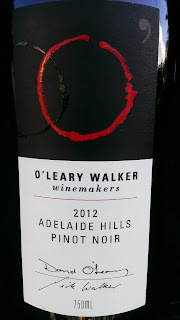 **I had the opportunity to have another look at this wine at Swirl Sniff Spit a week after my initial tasting . The acid which initially put me off was significantly different. I was impressed. It was much brighter and fresher. I'm pleased to have had the chance to have another look at the wine. This is a very good wine. It's almost like this could be alcoholic Ribena! The blackcurrant and black berry flavours are so rich and fresh they reign supreme. Throw in some forest fruits, cedary oak and a hint of spearmint and your senses will be tingling. Flavours roll through the palate well but they don't seem to carry through to the back as much as hoped. A soft and warming length but the juicy fruit delivered is hard to knock back. 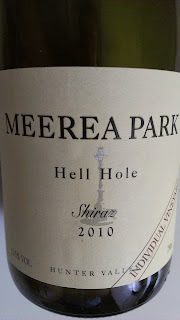 Overall, a super Shiraz from the place where Cabernet is king. 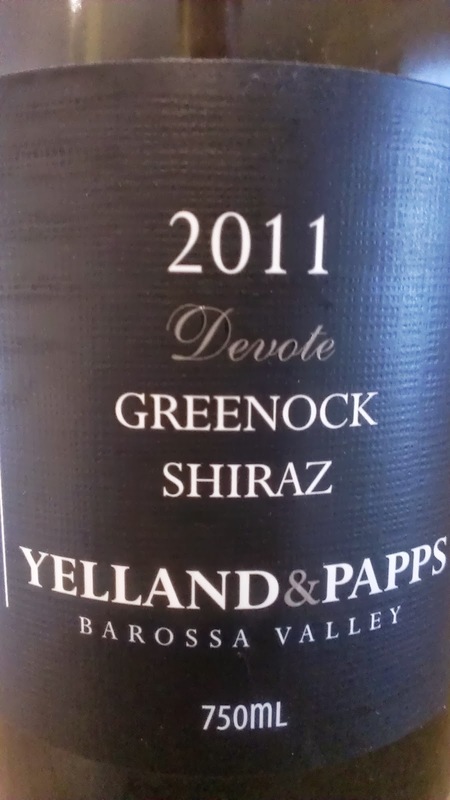 The fruit comes from the Barossa sub region of Greenock. Basket pressed and twenty months in a mix of new and old French and American oak. A meaty type. Lots of earthy type flavours too. Buckets of plums, black fruits, mulberry, leather, some clove, dried herb and black olive. Plenty of interest. A few days on some more floral and dry herb characters try to peek through but the meaty and black fruit characters keep it at bay. Savoury with a slight drying and chalky finish. Grab a rib roast and wrap it in bacon and wash it down with this. Will comfortably cellar for ten years. Another tick for the Yelland & Papps stable. Coming from the Granite Belt's premium producer, winemaker Peter Stark has a knack of delivering great wines even in the most challenging vintages. 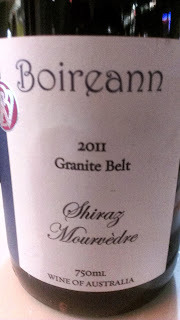 This Shiraz Mourvedre is dusted with generous lashings of pepper and black fruits, mulberries with good oak integration. Flavours were soft and supple but shorter than I hoped. Chewy tannins to finish. Well short of its optimum drinking window. Another five years at least will see it start to shine. Boireann wines sell out quickly each vintage and deservedly so. But patience is key with their wines as they age very well. Buy them, cellar them and treat yourself in years to come. Getting in early won't do the wine justice. This is a good example of that. The Winemakers Selection is the entry level range for Shaw Vineyards, and this Cabernet Sauvignon certainly represents terrific value for $16. 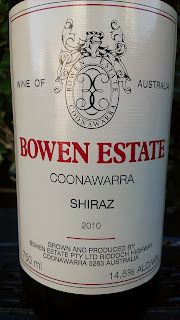 Shaw was established in 1998 and is located in Murrumbateman which is in the Canberra district. Straight up you get hit with black fruits, some peppermint and even slight aromas of hibiscus flowers in syrup. Flavours are plentiful with good depth. They evolved nicely over a few hours but they did stop a little short on the palate. A very handy mid-week drop which will cellar for up to another five years. An interesting title which is a tribute to the name given to the Pokolbin area by Hungarian migrants which refers to the summer temperatures often reaching 45 degrees. The fruit was sourced from the Lindeman's "Ben Ean" vineyard. This is a beauty. Lovely appearance, plummy fruit reins supreme. 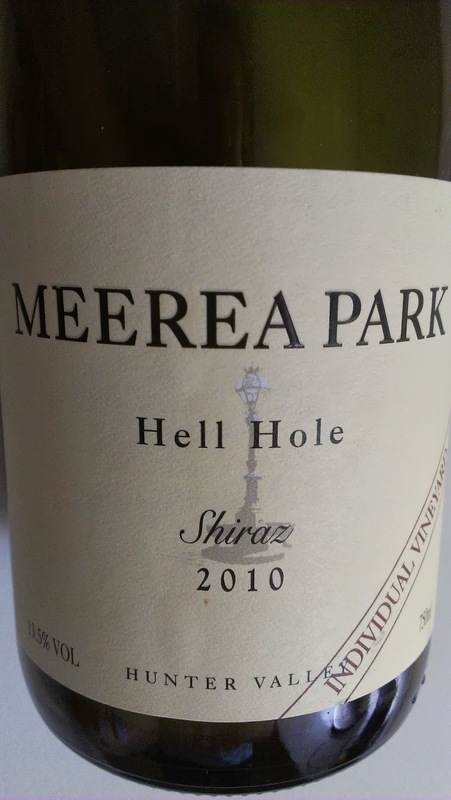 Medium bodied, it is meaty, shades of beetroot with some chocolatey touches. French oak (40% new) for twenty months has added good complexity. Flavours are dense and the length is fine and silky smooth. Superb! Moreish and then some. Plenty of life still left in this wine yet. Drinks well now but will last for another twenty years. I'm happy to recommend you pop this into your shopping cart. Barrel fermented in 100% French oak, the fruit was hand picked from a 40+ year old vineyard and whole bunch pressed. No malolactic fermentation. Fresh melon and stone fruit characters with a soft spice tickle. I enjoyed the balance of the wine but the texture was the winner for me. Good palate weight and density (but not heavy) was to my liking allowing the flavours to drive through to a long and enjoyable finish. Despite being barrel fermented, the oak was well placed. Those afraid of oak and Chardonnay need not be here. I'd be happy to grab one and share it with friends. 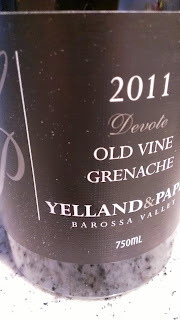 Despite many writing off 2011, I like to see the positives of what such a vintage has delivered. Sure we are used to the bigger gutsy type reds from the Barossa and alike, but what this vintage has done in my eyes has shown us a softer, feminine quality in some of the wines. And this is one of them. I had the pleasure of tasting this along with the 2010. Interestingly enough, amongst a group of four, two preferred the 2010 and the other two the 2011. Even more intriguing was that the two females preferred this softer more elegant type to the bigger and denser wine the two males preferred in the 2010. Black pepper, earthy black fruits, spice and oak char are the highlights. Some rum and raisin chocolate features swing in to play too. Quite linear and not too bold, the flavours are elegant though they do have a presence. Good oak integration with a good length to finish. Certainly not a confected Grenache and one a newby to the variety will enjoy. Coming from what is reputed the oldest Chardonnay vineyard in Australia, planted in 1908, the dry grown fruit is hand picked and hand sorted before being basket pressed. Eight months in one year old French oak finished the job. Fleshy white peach and creamy oak shone through with some Arnott's Shortbread Cream biscuit type flavours skipping about. There is a a little toasty character hovering around too. Initially I thought the wine was short and lacked drive. Day two and three allowed it to show its true colours and it certainly found its mojo. Wow! The delicate fruit is lip smacking good and the texture that developed over those few days was superb. Fruit to oak balance is gorgeous. Only 350 dozen made and worth hiding some in the cellar.